Having a credit card is a huge responsibility. Use your credit card wisely and you will receive many financial benefits, such as easy access to additional credit and lower interest rates for financial products. Make numerous mistakes with your credit card and you will be paying for it for years to come. If this is your first time having a credit card, there are some tips that you should follow to make sure that you are establishing good credit for the future. Many first time credit card holders make the mistake of not budgeting and treating their credit card like additional cash instead of like a loan that must be repaid with interest. This can lead to overspending and carrying a balance on the credit card. According to a recent article on the Money Wise Blog, consumer debt is at an all-time high and some consumers are worried about how they are going to pay off the debt they have accumulated. Ensuring that you are only charging to the credit card what you will be able to pay off each month greatly reduces the risk that you will run up large credit card balances and suffer the financial consequences that come along with them. 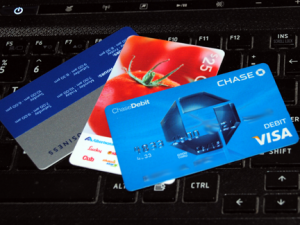 When holding a credit card, it is very important for you to stay on top of your credit card information. Make sure that you review all of the information about your credit status regularly, including reviewing each of your credit card statements, obtaining your credit reports, and monitoring your credit score. Issues and mistakes with your credit are much easier to fix if they are found quickly and reported to the necessary authorities for correction. Consistent monitoring is also important for preventing fraud from occurring in your name, as fraudulent accounts will appear on your credit history as soon as they are opened. While it may be easier to sign up for store-specific credit cards, they can generally only be used at a specific retailer and typically carry a higher interest rate than an unsecured credit card from MasterCard, Visa, Discover or American Express. Even if you receive a discount on your purchase for signing up for the credit card, you will pay more in interest and fees over time than you saved with the discount. Instead of restricting where you can use your credit card, choose a multipurpose credit card that is accepted anywhere you need to make a purchase.